They are by Salvat. I suppose you could call them bootlegs in a way. Even the small white JW-looking one? I don't know about the JW. 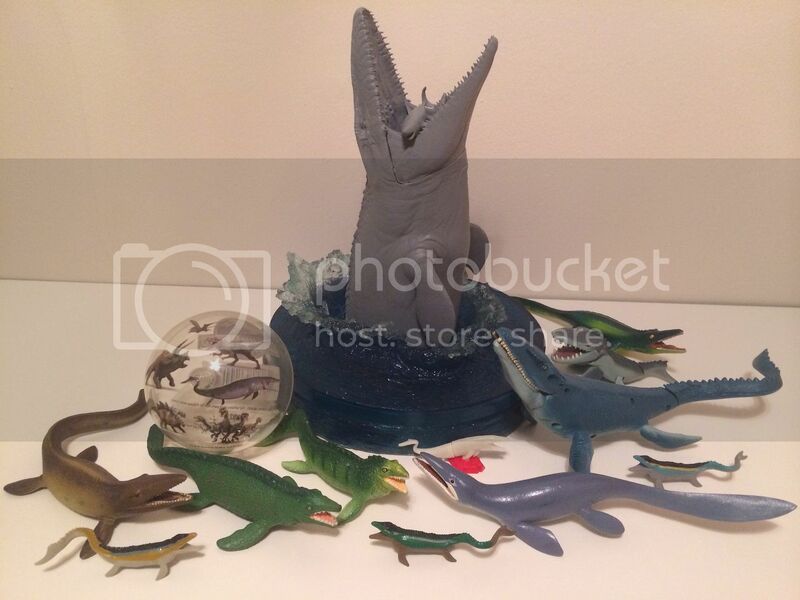 The green Mosasaurus is def Salvat though. The Salvat Kronosaurus looks like an atypical improvement over the Carnegie! 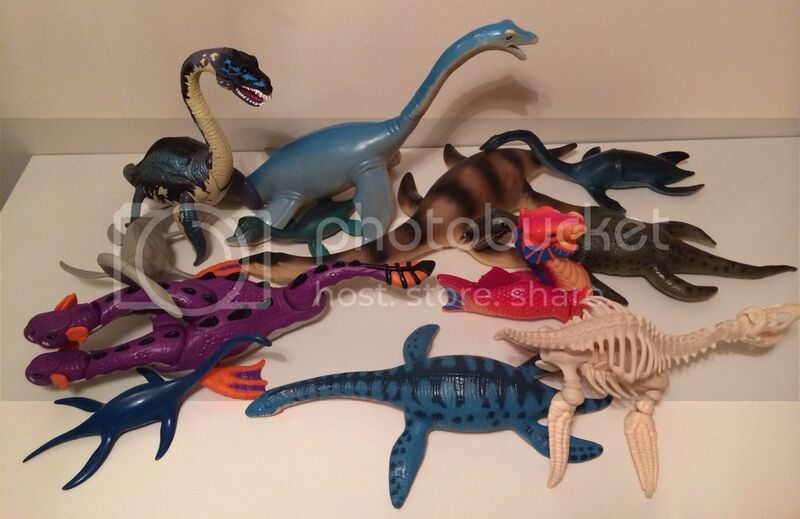 I think the small white one is the JW mosasaurus fast food toy. Not really sure though. The white one is a two-piece (three if you count the base) Mexican toy that the auction said came inside chocolate eggs. Couldn't pass up that little gem. But you should try the collecta! If you can find it! It is big, muscular and scary! 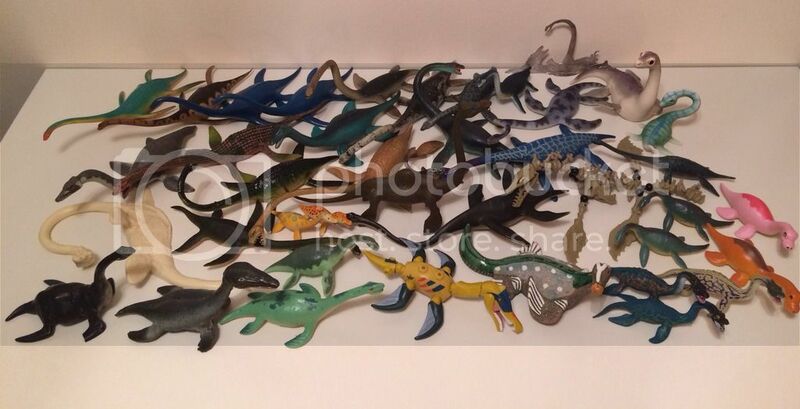 My pride and joy: my Marx Kronosaurus collection. Also included: the derivative MPC and Winneco Kronos. The mediums. 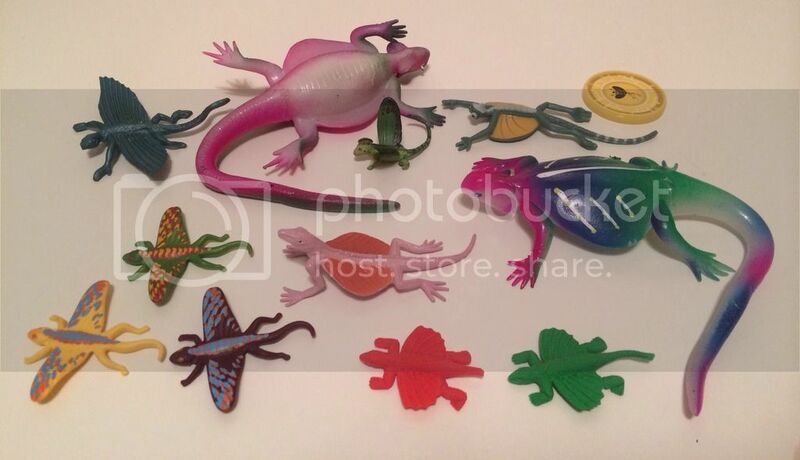 Note in the lower left corner the Neoform and Chialu plesiosaurs - without a doubt the two rarest plesiosaurs out there. The big 'uns. Invicta on bottom left to give a sense of scale. I already said it in the respective threads, but your marine reptile collection is staggering. Truly impressive! You're certainly among like-minded folk here! Regrettably I paid a fair bit more than he was originally asking for it, as I had to outbid some creeps on eBay. 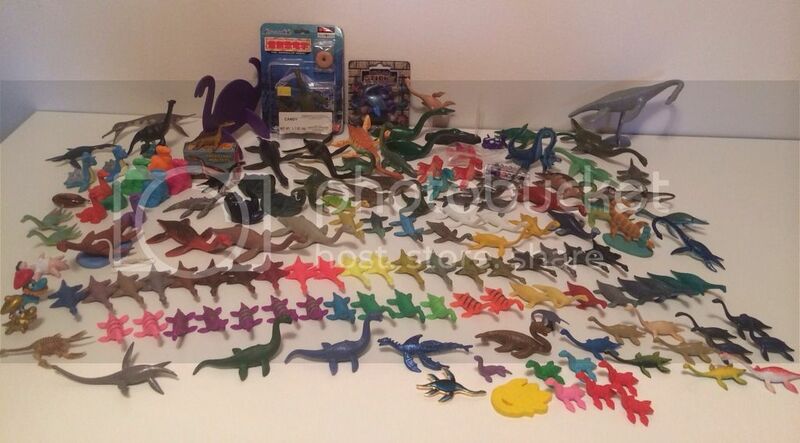 I can't tell by the picture, but do you have the Kronosaurus in Metallic Silver or Green? 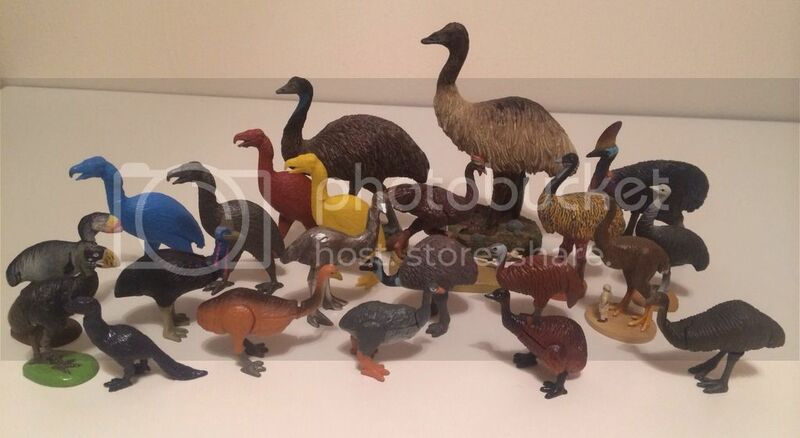 Many moderns, but extinct friends include moas, elephant birds, and Diatrymas ("terror birds"). 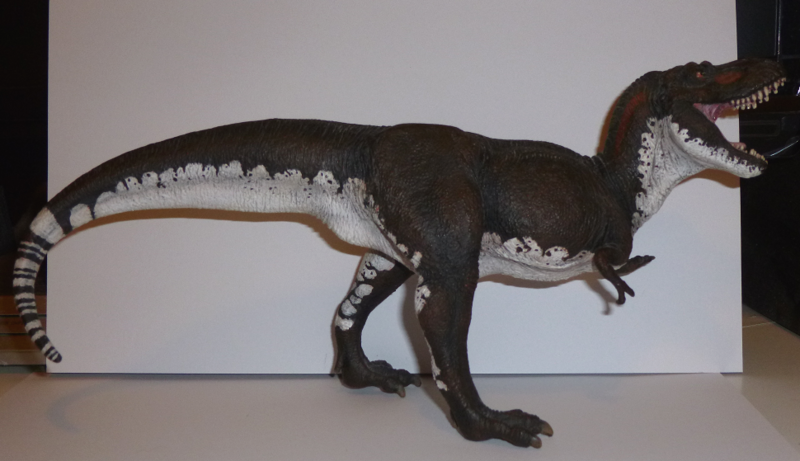 Often hard to distinguish from extant species, but some are expressly Kuehneosuchus or Coelurosauravus.